Summer is here and my garden is growing! I have a ton of squash and zucchini, and the perfect crockpot recipe to use them in. This makes the perfect summer side dish or you can turn it into a quick meal! 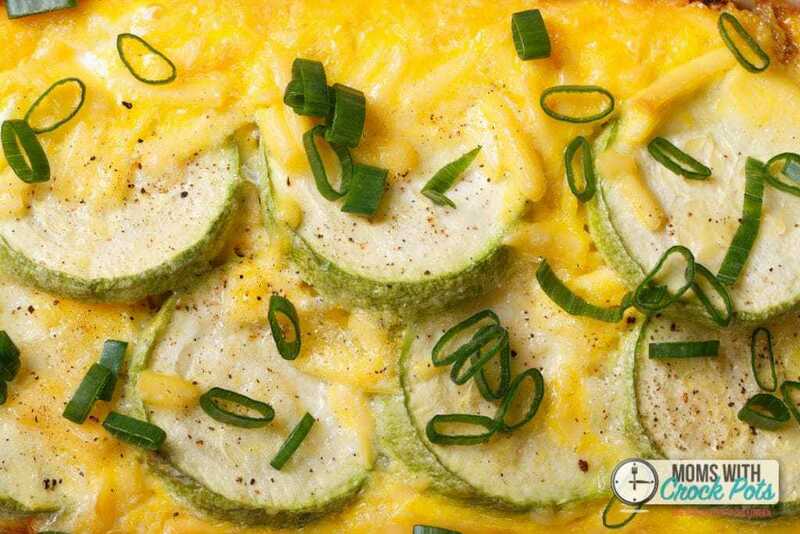 This Crockpot Zucchini Squash Casserole is a keeper! Spray 5- to 6-quart slow cooker with cooking spray. In large microwavable bowl, microwave squash & zucchini, onion and 1 tablespoon butter uncovered on High 10 minutes or until squash, zucchini, and onion are tender. Drain well. In slow cooker, mix squash mixture, 1 cup of the bread crumbs, 1/2 cup of the cheese, the sour cream, garlic salt, pepper and soup. In small bowl, mix remaining 1 cup bread crumbs, remaining 1/2 cup cheese and the melted butter. Sprinkle crumb mixture over squash. Cover; cook on Low heat setting 2 hours. Uncover; remove insert from slow cooker. Let stand 30 minutes before serving. Sprinkle with chopped green onion. 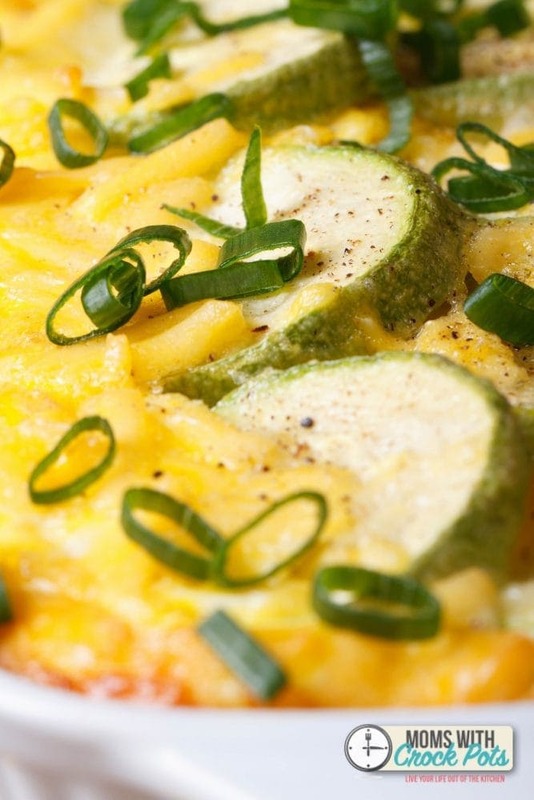 Need more great Zucchini Recipes? Wow does this look amazing! I love zucchini so very much too! I found you over at the Living Well, Spending Less link party. I host Tickle My Tastebuds Tuesday and would love it if you linked up this recipe. I’m sure our party goers would love it as much as I do. Here is the link http://bit.ly/1lNY6hK. Have a wonderful day!! Great recipe! Thanks for sharing at the #WWDParty – Happy Summer Solstice 2014! I so pinned this! Off the farmers market I go!!! Thank you so much for sharing this awesome Crock Pot Zucchini Squash Casserole, with Full Plate Thursday, we will just love this. Your awesome recipe is featured on Full Plate Thursday this week! Enjoy your weekend and your new Red Plate! Hi, I always have heaps of zucchini in my garden and love to find new recipes! Will try this one – BUT I don’t have/use 1 can condensed cream of chicken soup. How can I replace that? I tried this recipe and it was wonderful! I made the following substitutions: cream of celery soup for the cream of chicken; Greek yogurt for sour cream; and, croutons for the bread crumbs. I also added a can of chunk chicken. Wonderful meal.